Live Brighter™ 12 is rated 4.1 out of 5 by 20. 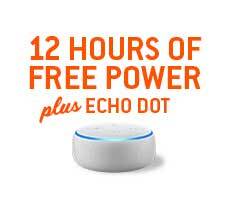 Why Choose the Live Brighter 12 Plan? Enjoy price security when you lock in a fixed Texas energy rate for 12 months. You can also benefit from great services like Paperless Billing, Auto Pay, and our Reduce Your Use Rewards Program! 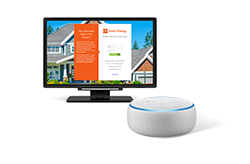 Locking in your Texas electric rate with Live Brighter 12 provides security and protection against possible price spikes. *If you cancel your plan early, you will be charged a $135 early termination fee. Terms and conditions apply. Rated 1 out of 5 by Mrsluckey27 from The worst plan I've ever had I've been on this plan for a month & I don't like it. I've paid over 300 dollars! I have never paid that much before signing up with Direct! Rated 4 out of 5 by coleen2072 from Not hard to sign up Switching was fast and easy, so far everything is good. Rated 5 out of 5 by Katherine from Good plan. Best rates. I bought this plan 3 months ago and couldn't be happier. Rated 5 out of 5 by Trini from Loving my bills In the beginning my bill seemed too high for me because I don’t use a lot of electricity but I don’t know what happened, because now it has dropped significantly and I’m loving my bills now. What is the rate on this plan for usage &gt; 2000 KW? Is there a minimum on the usage? Hi, is the $0.0115 (or any other rate) including all charged? I estimate my monthly usage to be less then 500 Kwh per month. Under the12 month plan. I used 2145 kwh last month. What could I expect my bill to be under this plan? Good morning! We definitely understand wanting to know what the billing amount would be and we're happy to help. Unfortunately, we are not able to assist with that question here since it is account specific. However, we do have a Live Chat option available Monday-Friday from 8:00 a.m.-5:00 p.m. that can review the account with you for more specific billing information. We look forward to speaking with you soon! Hi, Elizabeth. Thank you for reaching out to us today. The average rate shown for the Live Brighter plan is based on a 2,000 kWh usage. If you use less than 2,000 kWh the average rate could be higher and if utilizing more you may see the average price per kilowatt decrease since you are utilizing more energy. 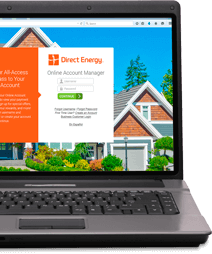 If you would like us to review your account please feel free to email us at dedigitalcare@directenergy.com for assistance. Thank you! Is there an additional fee or deposit when starting a new account? Hi, April. Thank you for reaching out to us! When completing a new enrollment there is a soft credit check performed. Depending on the results of the check, there may be a deposit required to begin service. Please feel free to reach out with any additional questions!